The monthly catechism day is this Sunday, 2nd December. On Saturday 10 November at 12 noon, there will be a High Mass of Reparation for the Irish Referendum decision at the Shrine of Our Lady of Guadalupe, Church of the Holy Child and St Joseph, Brereton Road, Bedford, organised by the Latin Mass Society and the Guardians of the Shrine. 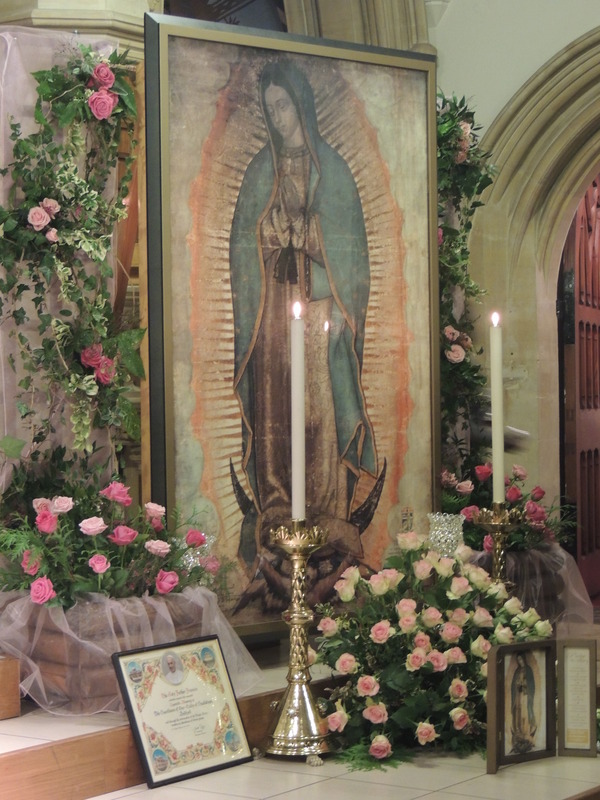 The Mass will be in the presence of the Miraculous Relic Image of Our Lady of Guadalupe, whose home is at the Shrine, and one of whose titles is “Protectress of the Unborn”. The Shrine is just a few minutes’ walk from both bus and train stations, and from the Ashburnham Road Long Stay car park at the junction of Ashburnham Road and Midland Road, where you can park all day for £2.50. Fr Patrick O’Donohue FSSP is the celebrant and he will also give the homily. Music will be provided by Matthew Schellhorn and other singers from Oxford. The Guardians of the Shrine have organised refreshments in the Guild Room behind the church after the Mass. High Masses are rare and this is a chance to hear one right on your doorstep if you are in the Bedford area. Many people will be coming to a Latin Mass for the first time ever, or after many years. Let us pray for a holy and happy occasion which will show that the Old Rite is truly alive, well and flourishing in Bedford.